But since then, only a few are pledging. How may I know my donation has reached you? This style / venue fits you well BN+! $ will be sent today. You’re singing with such joy that it sounds like all your troubles are over. I sent you a donation several days ago. I hope you received it. Things will not get better unfortunately. Hopefully now that Trump has appeased the Jews he can now start getting shed of them starting with his wormy son-in-law Kushner. Throw him to the wolves, Donald! Put you on the list…for the peace prize, any peace prize that recognizes our Lord Jesus and our Father who is in heaven…not the evil NOBLE fake prize. I am curious…what do you recite/pray when you pray your rosary? Paint your wagon! Much better singer than both! Made my day and more. Times will get better soon. Trump will take this country back and tame the Jews and the Media. We are in a midst of a Civil War and the Christians will prevail. Trump has DHS and will purge the Military like Obama did. Then the Deep State will be gone one by one. Get ready for the Second coming Brother N: He is right behind you. Your question will be answered in the following video: “My life as an Orthodox Monk”. We are all ready, Brother. This world has seen enough of Satan’s false promises. Pain, suffering, and even death will end when Our Saviour returns…and I believe it will be soon! The message in music — well done Brother! You certainly have talent, Br. Nat, and a good voice to go with it. After I’m finished writing my praises of you and send another contribution, I’ll feed the 3 pets (1 dog and 2 cats) their dinner and listen to your latest song. The Jews still hate Donald Trump, despite his bending backwards for them. They hate him mainly for his desire for and attempts at, restoring friendly relations with Russia and China. Unfortunately, The Donald isn’t in charge, Brother .. His evil son-in-law’s running the show right now, but Congress is about to look into Jared Kushner’s shady deals with the Russians .. and, hopefully, there’ll be quite sufficient dirt on him that’ll give Trump the green light to give his evil son-in-law the James Comey treatment (You’re fired!). Joh_12:31 Now is the judgment of this world: now shall the prince of this world be cast out. This would explain why they enemy is always and will lways be in confusion, Jesus Christ prevailed and is prevailing now !!! Trump will only be sucessfully impeached (doubtful) if he attempts to restrict congressional bribery collection. Thanks Doc Nathanael in the key of beautiful . . .
A tune for all times in these troublin’ times, indeed. And the water’s in rhythm. Having viewed many recordings of this apt (for many) song, your version tops them all. You are the one who gives the song meaning & truth something even the classy Crystal cannot match. Your very slightly off key moments are, together with your splendid intonation, the convincing truth to those who may not know you. May Lord God Almighty bless you now & always. I could be wrong, but I may be right. Our Brother Nathanael seems despondent. When subject matter is in full flow such tremendous out pouring from many, many commentors, RJN, YouTube subscribers & well wishers must surely inspire, hearten & spur him on. Warnings of imminent/ impending global crisis abound. In such a scenario I can see +BN’s internet channels being overwhelmed with the “Woken up”. “You were right Bro” (yet again) “We’re with you Bro” et cetera. 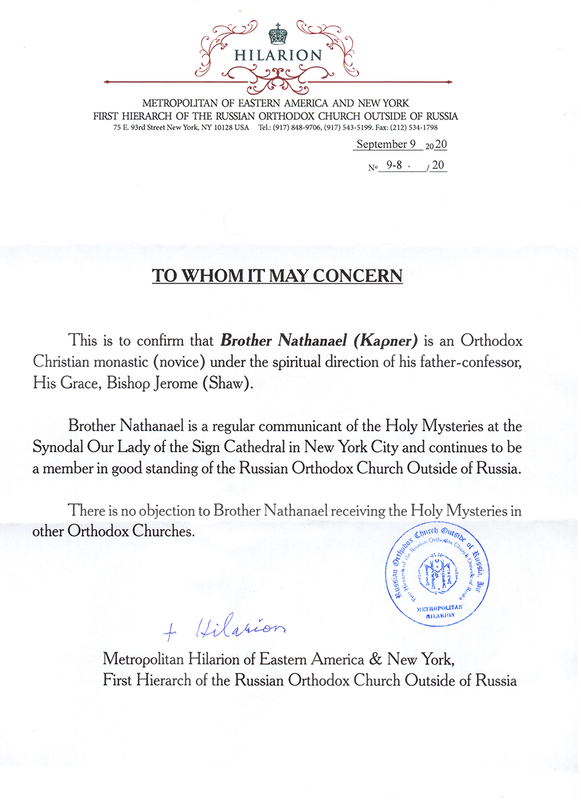 Personally I can think of nothing more depressing than to witness & live through the forcasted doom laden times, only to learn Brother Nathanael has (unable to be self-sufficient through lack of $$$$$/indifference) retreated into remote Holy Orders. I write back: I’ve never been so discouraged in my life. I’m carrying a deep despondency. It’s oppressive. Just the thought of how the Jews have DESTROYED this country is enough to crush a man. On top of this, I’m in serious financial trouble. That meant, go make the sales calls, plenty of them, and you’ll be in business. Well, I’m working harder than ever, am continually drained trying to come up with new Videos and Articles, and while I am reaching MILLIONS, I’m in debt. Due to PayPiss banning me two months ago I’m still in “recovery” mode. Due to SO FEW responding to my crisis, (it’s now a life and death crisis), I had to BORROW MONEY FROM two Credit Card offers. If I hadn’t, then KAPUT, no more Videos, no more Articles. I’m in a life and death struggle, like never before. Patreon so far is a COLOSSAL failure. This week after two Video postings, I got 4 donations. Three for a dollar, one for five dollars. Everyone should sing. It’s good for the soul. A benefactor was willing to sponsor a “Brother Nathanael” booth at the upcoming Ron Paul Institute Conference after being solicited by emai. I was promptly denied with NO explanation why. I politely requested an explanation but no reply. I’m not really expecting you to reply as I know it will put you in an embarrassing position. My being denied a booth at your upcoming Conference raises an issue that impacts on the essential message of The Ron Paul Institute. If we have reached the point of universal deceit where telling the truth is a subversive act then +Brother Nathanael is a radical subversive. And this is with my promise that I would not engage in political/religious issues that expose the noxious influence of Jews, but rather, only to promote CDs and DVDs of my singing. Last year you had a featured speaker who presented–with no facts to support his dubious thesis–that the Saudis did 9/11. But when someone like me GIVES VERIFIABLE FACTS then that “free market” is denied. Whether or not RPI does everything in the world to guard against being labelled “anti-Semitic,” the Jews who own ALL of America will STILL hate, ignore, and fight against Ron Paul’s message. God Bless You and Your Work, dear Daniel! As a fellow Christian, I hold no grudges. As I know you understand, we each have our own missions, our own callings, and our own audiences. We will have worked all year with a skeleton crew to put together a conference and from theme to speakers to audience to everything in-between. This endeavor is the fruit of our labor and the implementation of our strategy to wake people to the folly of an interventionist foreign policy. Were you to do the same, to put together a conference to highlight your approach, your mission, etc., I would never question your decision to exclude our participation for whatever reason. Even if I came to you offering sponsorship as a direct response to your request for same. It would be your decision, as it is your endeavor. Let us hope the Lord blesses each of our honest efforts to work for the peace He wishes for His people on earth, and especially for the eternal peace that comes from our individual salvation. We must endeavor to understand and accept that justice is His alone. And He will not be denied. I would NEVER deny RPI participation in any conference the +Brother Nathanael Foundation would put together. NEVER, as I respect and agree with its work. So does the benefactor who was willing to help me with a +BN booth. I still can’t see how my selling CD’s and DVD’s of my singing at an RPI booth would be a very “different mission” and addressing a “different audience” than RPI. Was the speaker regarding the Saudis presenting the “same mission” as RPI? Escapes me. At last year’s RPI conference many attendees of all ages thanked me for my internet work. Same audience, similar mission since I have spoken out against “US foreign intervention” often. In closing, “stopping US foreign intervention” is an act of futility. The Jewish Wall Street/Military Complex will not be taken down. If Ron Paul was not effective during his congressional tenure and his presidential runs, how in the world can RPI—which gets NO media coverage from JEW-OWNED CBS, ABC, CNN, Jew York Times, etc—suddenly do differently? The ideology we’re up against. One hapless Brition versus a panel of British traditors, mainly ditto audience, & Bolshevik Broadcasting Company. If I died tomorrow, the Cause of Death on my Death Certificate would read: Hopelessness and despair. If an army of spies were to invade a country to take pieces of it for it’s own, it would first choose the most populated pieces (states) in order for it to go that much more unnoticed. It would also strategically choose opposite sides/border regions. This my fellow Americans is what has happened! The EVIL Jew Worms have control over Calif & NYC and their pestilence is spreading to other states like N.J., Oregon, WA State. Look how defiant the Jew liberAhole from Calif. is in the face of Trump. They want so desperately to wrestle it away from the Union - breaking up our country into pieces for their evil expansion (”annex” is just a misleading word to appear legitimate, in gullible Yidiots eyes, when stealing is occurring). I agree with another post — civil war is on the horizon. I also know that this is THE ONLY WAY for us to rid ourselves of the scourge of Jew worm vermin. Once they see us take to the streets armed and determined to stand up to their evil propaganda, lies & control, they will ALL scurry back to Pisreal, of course crying the whole way saying “You’re mean” and “crazy” people. Vagabonds once AGAIN on the road AGAIN! These type of people just DON’T get it UNLESS you get physical. It just doesn’t register with them. They are mentally ill, they ARE possessed by Satan sure enough to the point they aren’t even human anymore. Jews have controlled the US since 1900’s people. Peace? There are two forms of War and Winning. You can become the Rock that withstands all things even Time and with patience the enemy will run out of weapons to attack you and energy. or you can take the fight to the enemy and create change. Both are very long results. As it stands now in the US, we would need States to break away from Washington and we would need civil wars that have the police on our side in those states. – Since they control the TV and try to censor the internet they control a lot of people’s minds. – Since they control the Banks they control the food supply. – Since they control the Military they control the populace. The Best way is to keep exposing them. And Focus on positive energies! Just added, is “Sing Along with Brother Nathanael” T-Shirts, Coffee Mugs and Stickers etc,. Re the video of the BBC discussion show. That dorky woman on the panel who spoke first really wants us to think that she, an immigrant from Australia, is in the same category of immigrant as the millions coming from the third world. What pieces of crap everyone at the BBC are! Can’t say the “R” word to save their own useless lives. How Christ must have felt when so many of his disciples in moments of fear either denied him or betrayed him. At least in the case of Peter Jesus did predict his denial. I suspect the same forces are at work today with Brother Nathanael in as much as he feels there are certain like minded gentile people who might share his world view on matters. Brother Nathaneal is most certainly travelling a lonely road, and the high priests of today- the Paul Craig Roberts & ferrett eyed squeaky voiced Ron Pauls are knee-high to grasshoppers compared to himself. You do, it seems +BN, need reminding their light is but dull by comparison to your BRILLIANCE. Such outfits should be left to their own devices. Humble yourself, dear +BN, only to your Lord and Master Jesus Christ. Never to potential deniers of his. Why doesn’t the Jew media attack Netanyahu for his Trump support? Thank you for your countless effort to get the truth out and to save the people! Is Trump’s Mossad point-man Kushner on the way out? To be replaced by Liar’s Poker Player Cohn and FICO Forker Mnuchin? I apologize that I have not been able to send you anything lately. We have been out of work, but God answered our need and my husband starts work next week, hopefully it will be a very prosperous job. But in the meantime I want to suggest to you that you should ask people to tithe to you rather than giving to the sold out to synagogue of Satan church’s. I am not suggesting that you should harp on tithing or overemphasize it like many of these church’s do. But as you are doing God’s work, by tithing to you people should know that they are fulfilling their duty to God. Only a small handful of people tithing to you would probably support you and your operation. I’m hoping this idea will be helpful. In Summit County for Street Evangelism. Going great! Working on NEW Vid here in my old digs. Hope to post sometime early on tomorrow - Wednesday. My favorite street evangelist and truth talker singing one of my favorite artist’s song. Was kinda surprised to see it. I wasn’t aware that the PayPal thing stopped, but I have started a new monthly payment to the click and pledge site. Hopefully others will do the same. If you are a visitor to this site and reading this, you should highly consider sending a monthly recurring donation. $10 or $20 is not much per person and it could add up if everybody pitched in. It is likely he says the Jesus Prayer– an Orthodox monastic tradition.